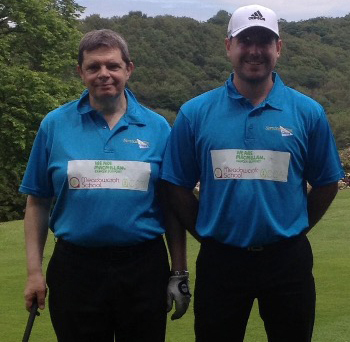 Two Yorkshire-based commercial cleaning franchise owners are taking part in their second Longest Day Golf Challenge, in aid of Macmillan Cancer Support. Adam Marcham and Clive Jones of ServiceMaster Clean Contract Services Huddersfield and Bradford, respectively, will take part in the challenge at Meltham Golf Club, which is situated against the Pennine Hills, near to Huddersfield on June 22nd and are aiming to raise over £500 in the process. During the feat, the duo will complete 72 holes, walking over 24 miles, taking more than 600 shots between them. Adam and Clive are raising money for Macmillan Cancer Support via their Just Giving page https://www.justgiving.com/fundraising/servicemasteryorkshire.